Sedan is part of American car culture. It has its own fans across the country. Almost all of the car is the icon’s brand and has become legend. Some of them are new entries in this hot segment. At this year’s New York Auto Show, some automakers introduced its latest small sedan, mid-size sedans, and full-size sedan to compete with the leaders in each segment. After got suffer because of its slow selling, Chevrolet Malibu is back. It comes up with brand new design, more efficient, new features, and new connectivity. Now, Malibu is 91 mm longer and 136 kg lighter than its predecessor thanks to high-strength steels. Its new exterior design is sleeker and more aggressive. At a glance, the mid-size sedan reminds me of its bigger sister, the full-size sedan Impala. Up front, Chevy’s designers put expressive headlamps, and typical dual-port grille. From side, the sculptured lines from A-pillar to C-pillar make the car muscular. At the rear, its design is totally different with Impala. It has elegant LED taillights and more dynamic looked thanks to use of dual-exhaust. If Malibu exterior brings aggressive and dynamic theme, then its interior gives us more elegant and luxury atmosphere. Brown and beige dominate the cabin color. At the center cockpit, there’s 7-inch or 8-inch touchscreen that will display Chevrolet MyLink system. Behind the three-spoke steering wheel, there’s an interactive instrument panel that will show the driver car condition. Meanwhile, 2016 Chevrolet Malibu offers 4-cylinder engine 1.8 liter produces 160 hp, 2.0 liter with 250 hp output, and hybrid version 1.8L with two electric motors that can make 182 hp. Chevrolet debuts Teen Driver Monitoring System in 2016 Malibu. The system can mute the audio and disconnect any paired device to the car when front-seat occupants are not wearing safety belts. The tech provides audio and visual warning when the driver drive the car over speed limit. The system lets the parents see how their son or daughter drive the Malibu. 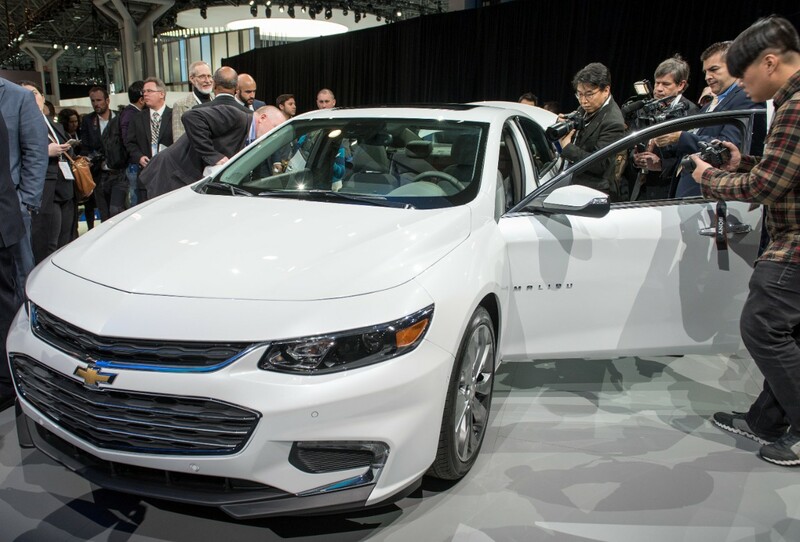 Chevy Malibu rival from South Korea also made its debut at 2015 New York Auto Show. 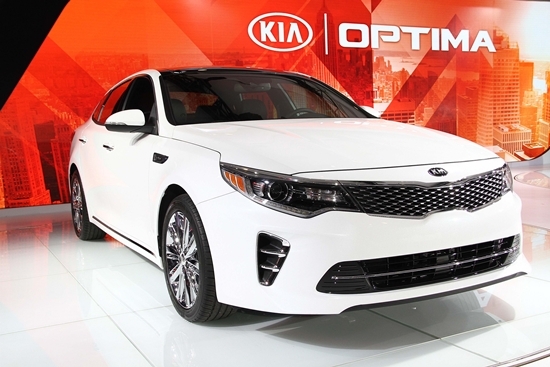 Yeah, I talk about 2016 Kia Optima. The fourth generation brings all-new exterior design that is looked more premium and mature than its previous generation. At a glance, the latest generation design look like its predecessor. But if you look carefully, then you notice that Kia designers redesigned the headlights which now features LED Daytime Running Lights. The chromed Tiger nose grille still be a Kia’s identity. At the rear, the company prefer to keep its line design just like the previous generation. But the LED taillights and rear bumper get redesign. In the cabin, we can see a few changes. It means that the interior design almost unchanged. Kia offers 6-speaker stereo as a standard feature. But if you are an audiophiles, Kia has an interesting option 14-speaker Infinity. Moreover, there’s an 8-inch screen that shows UVO infotainment system. The system integrates with both Android Lollipop and iOS 8. 2016 Kia Optima is powered by naturally-aspirated 2.4 liter 4-cylinder produces 185 hp and 2.0 liter 4-cylinder turbocharged makes 274 hp. Those engines are mated to 6-speed automatic transmission. Another option for the engine is 1.6 liter 4-cylinder with turbocharged produces 178 hp and mated to the first 7-speed dual clutch transmission from Kia. From the mid-size segment, we go to one level higher, full-size sedan class. 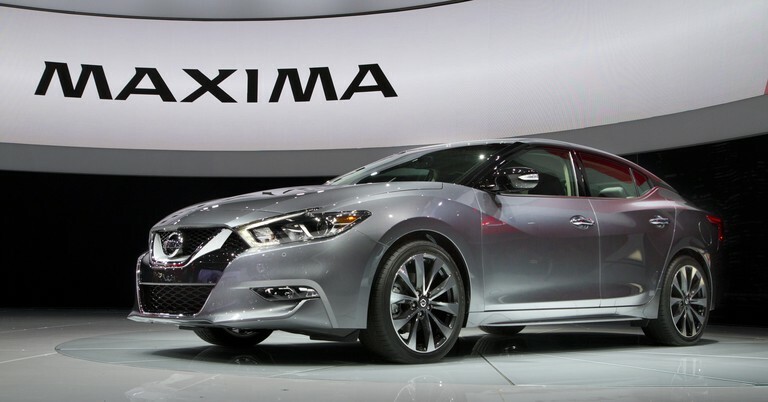 There’s 2016 Nissan Maxima that has been revealed at 2015 NY Auto Show. According to Nissan, the latest Maxima is dramatically styled. And I agree with that. Compare to the previous generation, the 8th generation has much better styling in exterior sector. It took a lot of inspiration from Sport Sedan Concept that made its debut at 2014 Detroit Auto Show. Nissan designers keep V-shaped grille as a typical of Japanese brand. Meanwhile, the boomerang headlights get a little redesign. Interestingly, the automaker keeps the floating C-pillar that makes car futuristic. In the interior, Nissan combines the elegant and luxury design. 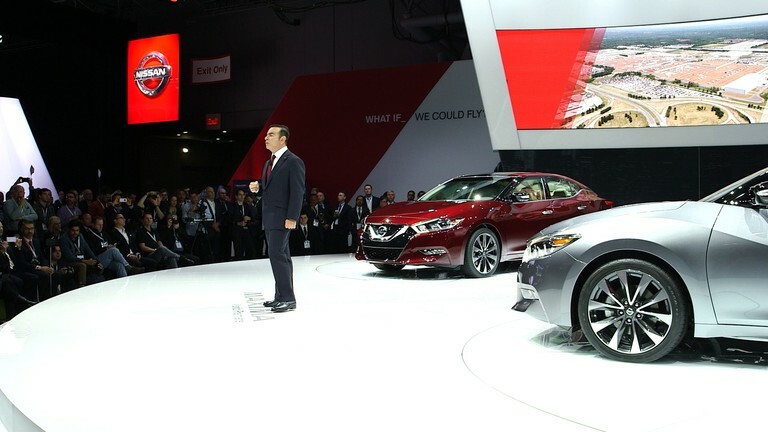 Nissan says that its cabin can compare to other luxury cars that more expensive than Maxima. Everything looks good with wood trim and high quality material. 2016 Nissan Maxima brings new VQ-Series V6 3.5 liter which can produce 300 hp. The engine is mated to an all-new CVT that now performance oriented, according to Nissan. Toyota Avalon rival will go on sale this summer. There’s a surprise from Honda. Without preview or just a teaser, the Japanese brand introduced Civic Concept. So, this is a concept car that previews the 10th generation of Civic that will be released this fall in USA. Looking at the green concept car, it might be the most dynamic and sporty Civic ever. Up front, the designers put aggressive ‘face’ accompanied by LED headlights, LED Daytime Running Lights, and black honeycomb grille. At the rear, we can see unique LED taillights that becomes a part (likely, it won’t be featured in production version). There are also rear spoiler, rear diffuser, and a single big exhaust that make the coupe more dynamic. According to Honda, the production model will be offered with 1.5 liter VTEC plus Turbo that is mated to 6-speed manual transmission or a CVT. That’s a good news for the fans. And I’ve got another exciting news that the bodystyles of next generation Civic are not only sedan and coupe, but also 5-door hatchback! 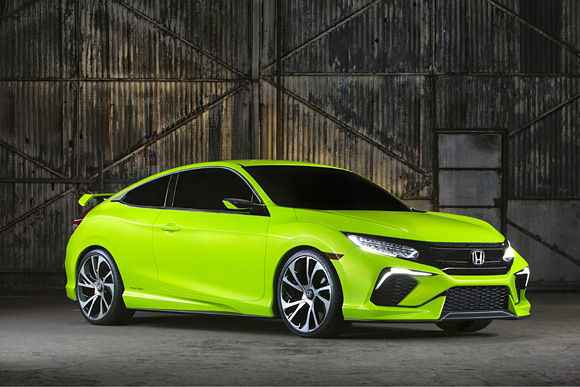 Moreover, American Honda said that they planned to release Si Coupe and Type-R Hatchback. “The New Civic will be, flat out, the most dynamic, the most technologically advanced, the most refined and stylish Civic we’ve ever made. In every way, this will be an epic Civic,” said John Mendel, Executive Vice President of American Honda. I can’t wait to see the latest Civic, then.